Kiehl's Favorites. | By Millie. Midnight Recovery Concentrate: This is what started the whole craze off for me. I was just starting to build myself a skincare routine and wanted an oil to invest, this one had so many great reviews I couldn't pass it up. My skin type is combination-dry, I don't suffer with too many problem areas, but my skin is definitely far from perfect. I find this really helps to restore moisture, giving me a dewy complexion by morning. It's magic in a bottle. I've used this for years and am forever repurchasing it. It's my favourite facial oil by far. Creamy Eye Treatment With Avocado: This is one of the newest additions to my skincare routine - although I seem to be halfway through this mini pot already - it's a lovely hydrating eye cream. I use this morning and night, and I love the way it feels. It sinks in really well and I find makeup applies nicely over-the-top. The avocado really helps to keep the under-eye area feeling nourished and moisturised. Ultra Facial Moisturiser SPF 30: This is such a classic from the brand, and if wasn't already good enough, they have now added SPF 30!! I think this is one of the most fuss-free moisturisers on the market, but it works. It's a light-weight formula which hydrates and plumps the skin, creating a smooth base for makeup. I don't find my skin gets oily after applying this, in sinks in really quickly. This is my go-to moisturiser for the mornings, and with the added benefit of an SPF, I can't put it down. Iris Treatment Essence: I feel like facial essences have really come into their own over the last year or so. The SKII has been around for years but I wanted something a little bit more affordable to start me on my essence journey. I heard a couple of good reviews on this Iris treatment, so I thought I'd give it a go. Iris is known for it's deeply hydrating and anti-ageing properties so it's a great one for maintaining a youthful glow to the skin. I apply this morning and night, it lasts for absolutely ages as you only need 3 drops! Creme de Corps Body Butter: I don't have this one to photograph but I've had the big tub in the past and absolutely adored it! For a body butter, it is pricey, but it smells amazing and is really hydrating. Maybe one to pop on your birthday wish list! I has soy milk and honey so it smells sweet, but not in an overpowering way. I love the way this makes my body feel after I've applied it, I'm definitely going to have to repurchase soon! 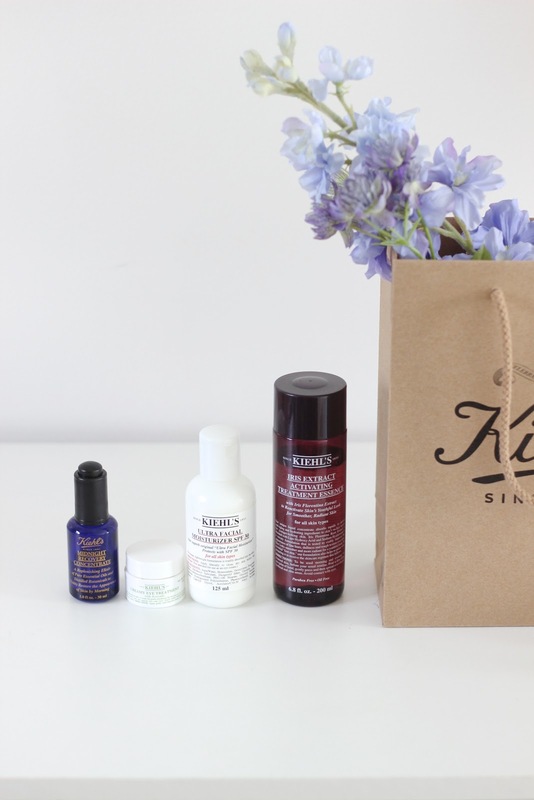 Which Kiehl's products do you love? Summer Eyes With Charlotte Tilbury. Bondi Sands Self-Tan Eraser: Does it Work?